For people looking for an alternative to the ubiquitous MINI then the Citroen DS3 could be just the thing. Taking an old name and tacking it onto a racier-looking relation of the C3 has been a surprising success for Citroen. The DS3 might be diametrically opposed to the original Citroen DS, but for people looking for an alternative to the ubiquitous MINI then the DS3 could be just the thing. Introduced in 2009, and still available in Citroen showrooms today (it's actually badged 'DS 3' with a space since the end of 2014), the Citroen DS3 is a small supermini-sized hatchback that majors on style and personalisation over its more conservative C3 relation. It's Citroen's riposte to the MINI, allowing fashion-conscious buyers something a bit different from the omnipresent British car, though unlike it Citroen hasn't gone on to offer countless permutations on the theme. The DS3 is only offered in three-door guise then, so no SUV, estates, coupés or roadsters, Citroen's one concession to variety being a convertible called the DS3 Cabrio - though even that's little more than a full-length sliding canvas sunroof and a slightly compromised boot. It might have a racier image, but not all DS3s live up to that on the road. The engine choice does include a 207hp 1.6-litre turbo petrol, but the majority in the classifieds and on the road are powered by lesser units. There's a 1.6-litre turbodiesel with either 90- or 110hp, or a choice of 1.2-, 1.4- and 1.6-litre petrol units with outputs ranging from 82- to 157hp. Note that 2015 cars can be distinguished by a new headlamp arrangement. There might be a selection of engine choices in other markets, but you'll be doing well to find anything but the 90hp 1.6 HDi turbodiesel here. It's a good engine, not least for its excellent official economy and low CO2 emissions. 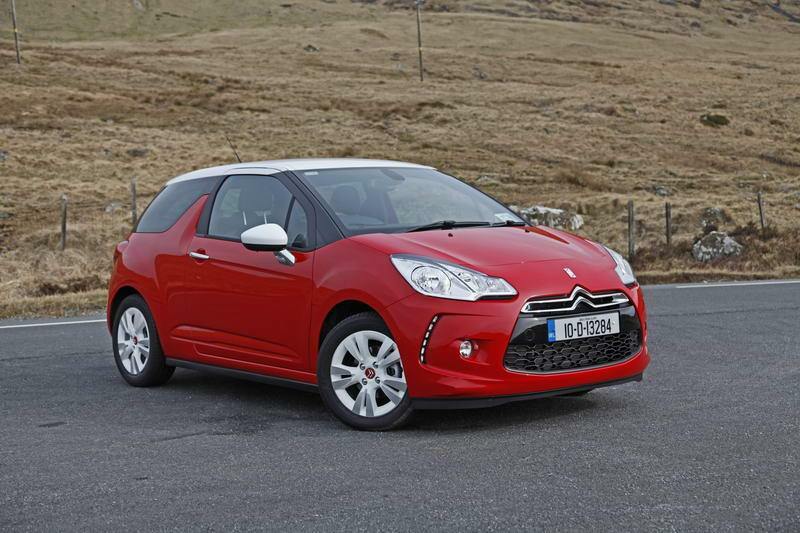 A fun alternative to the fashionable and omnipresent MINI, the DS3 is a good-looking, if slightly cramped, supermini. A nicely finished interior also adds appeal, as does the diesel's low emissions and fine economy. One to recommend, but a bit pricier than its less fashionable supermini rivals.